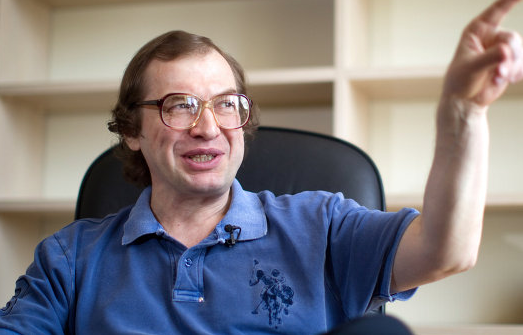 MMM Founder, Sergey Mavrodi has allegedly written an open letter to the Federal Government of Nigeria explaining how the scheme works, and its benefits to investors. The letter was displayed on the page of all participants of the Scheme. Recall the Securities and Exchange Commission (SEC) and the Central Bank of Nigeria (CBN) had warned Nigerians against participating in the scheme which it described as a “Ponzi”. The House of Representatives in October also ordered an investigation into the operation of the scheme. According to the letter, Mr. Mavrodi implored the government to look at the benefits of the scheme rather than be against it without knowing how it was helping Nigerians. The founder said although MMM produces nothing, it also takes nothing out of the country either. Mr. Mavrodi argued that the scheme was not a scam, saying, “What is the scam here, if all members are warned in advance about all the risks, the possible and impossible ones? He insisted that if the government was really interested in the welfare of the Nigerian participant, then the scheme should be left alone arguing that MMM was helping the over three million Nigerian participants. Read below the full script of the letter as obtained by our correspondent from the dashboard of one of the participants. What are you trying to get? Do you want the MMM System to collapse and millions of people to suffer? Who will support them then if now MMM is their only means of livelihood? Will you? You even don’t pay wages to people? Or might you not care about them? Might you be using a trendy topic to make a good name for yourselves? What will you say to a mother who will have no money to buy food for her child? Will you let her child die for the sake of the higher interests of the economy?You say that MMM is a scam. What is the scam here, if all members are warned in advance about all the risks, the possible and impossible ones? They know there are no investments at all. The warning is a red text on a yellow background placed on most prominent place of the website.You say that MMM is bad. Why? Yes, it produces nothing, but nothing gets out of the country either. The money is just redistributed among the citizens of Nigeria. It gets from those who are richer to poorer ones, in this way restoring social justice. What”s wrong with that?You have repeatedly stated that “it should be investigated!.. researched!..” It means you know nothing about this System yet; you even haven’t understood how it works………And finally. If you know what is right for people, why is the life so bad in the country?